While many welcome the arrival of warmer temperatures with open arms, people with seasonal allergies and asthma may be bracing themselves with boxes of tissues and asthma medications this season. According to a study published in the Journal of Allergy and Clinical Immunology, about 45 percent of people over the age of six and 36 percent of children under the age of six have tested positive for at least one allergen. Outdoor allergens are prevalent again, but families staying inside on a hot day also have indoor allergens to think about. One of the most forgotten indoor allergy triggers is cockroaches. According to the Asthma and Allergy Foundation of America (AAFA), 63 percent of American homes contain allergens from cockroaches. This includes droppings, saliva and dead bugs, and children can be especially sensitive. 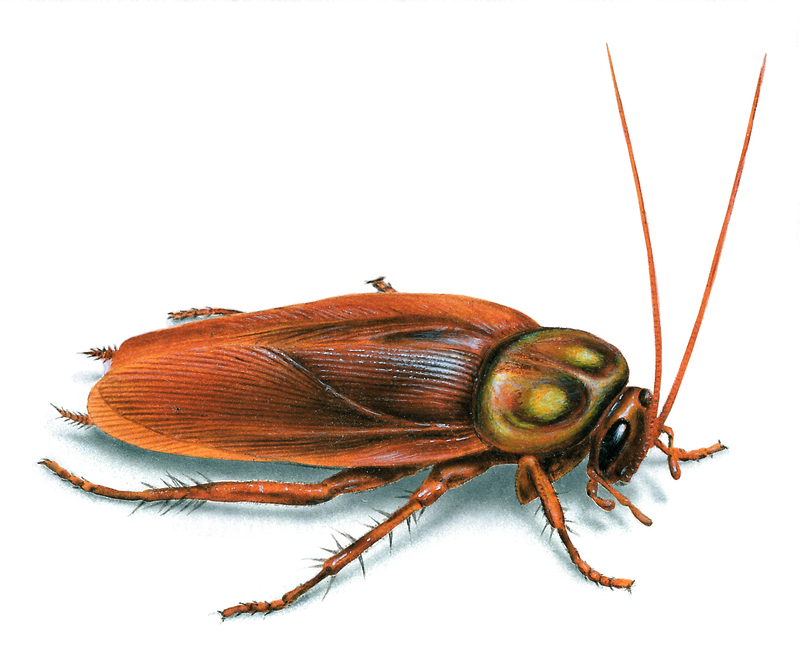 In addition, cockroaches are known to spread a number of serious diseases including Salmonella and E. coli. • Vacuum Regularly. Running the vacuum at least once a week using a unit with a HEPA (high-efficiency particulate) filter can clean up crumbs and help remove allergens from carpeting and furniture. • Store Food Properly. Keep food stored in sealed containers, particularly in the kitchen. • Inspect Groceries and Deliveries. Sometimes, cockroaches and other pests can be brought in with deliveries or groceries from the store. Carefully inspect items as you put them away, and promptly remove cardboard boxes once unpacked. • Keep a Spotless Kitchen. Clean dishes and wipe down counter tops, appliances and other surfaces daily to remove crumbs and spills that can attract pests. • Take Out the Trash. Dispose of garbage regularly, and be sure curbside containers or dumpsters are properly sealed. • Stay on Top of Home Repairs. Seal cracks and holes around the exterior of the home, paying special attention to entry points for utilities and pipes. Also, check for leaks under appliances and sinks to avoid moisture buildup. • Work with a Pro. If you suspect an infestation, contact a qualified pest professional to properly identify your pest problem and recommend a course of treatment. April 30, 2014 in Homeowners, Real Estate.